Click the zodiac icon for your horoscope forecast for the week of April 15th to April 21st, 2019. 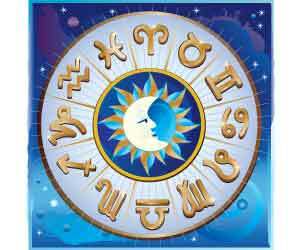 The main features of the site are the weekly horoscopes. 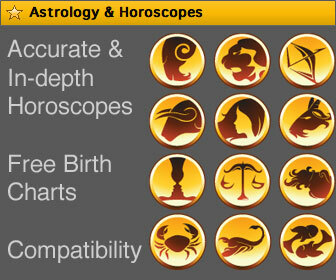 It's also possible to get your personal daily horoscope based on your birthday or the simpler, general forecasts. On other sites, you have to sign-up or pay a fee to access those features. On 0800-horoscope these astrology features are free! Our site has been online since September 1st, 1998. The unique Combination Horoscope is exclusive to this site. It gives you a much better picture of the week ahead by combining the horoscopes of your zodiac sign, moon sign and ascendant. If you don't know your moon sign or ascendant (rising sign) then you can find it out using our free birth chart. Of course there is a lot more to discover: As you click through the site, you'll discover how easy it is to read your horoscope and find out more about yourself. We hope that our site provides you with all the answers to your most pressing questions.